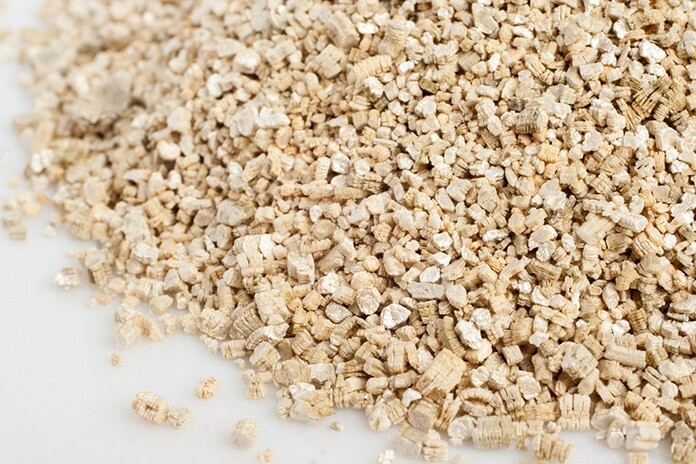 ​What Is Vermiculite? What Is Vermiculite Made Of? ​What Is Vermiculite Used For? ​What is Perlite? What is Perlite Made of? The reason for this is that there is a misconception that the two are the same. Although that has some truth to it, there are still distinct qualities between the two. This is why it’s important to know what’s going on between the Vermiculite vs Perlite matchup. ​To answer this question, we’ll need to first know the similarities between a vermiculite and a perlite. Knowing their similarities would help us know more about the two. Furthermore, it helps us draw a line later on when we start contrasting the two from each other. ​To begin with the similarities, it is important to know that the perlite and vermiculite are both minerals that are non-organic.Both of these minerals share similar processes in how they are made, which is done by expanding mined mineral. However, despite similar processes, the properties that they boast remain different to an extent that they are not interchangeable. ​Besides aerating the soil, these two are also used for water retention which acts as one of their primary uses in gardening.This is essential in your gardening since your soil can easily dry out due to intense heat. ​However, there is still great differences between the two when it comes to water retention. Actually, one of the big differences lies in this area. These will be further discussed when we find out their differences later on. ​First of all, let’s discuss the mineral composition of the vermiculite. This mineral is made out of aluminum-iron-magnesium silicate. The material and overall texture of vermiculite actually resemble that of a mica’s. Its material is very spongy and it has different hues of brown color. ​Sometimes its color is dark brown, while there are instances that it looks like it’s golden brown. When the vermiculite is dry, it resembles closely to flakes. When vermiculite is heated, it expands which allows it to take in moisture. This chemical reaction gives vermiculite strong water retention. This mechanism is extremely effective since it can accommodate water that is thrice its volume. ​Moreover, vermiculite is also a great additive because it also attracts elements like phosphorus, calcium, and potassium that acts as nutrients for your plants. ​As previously mentioned, vermiculite is a good additive when it comes to water retention. This is why one of its uses in horticultural practices is in that area. In particular, the addition of vermiculite causes your plants to be more robust. Generally, plants become healthier with this mineral. ​When it comes to the battle of vermiculite vs perlite, vermiculite definitely wins over perlite as the better mineral for water retention. You could literally say that it’s more of a sponge compared to the uses of perlite which we will be discussing later. With all that said, vermiculite is best used for plants that love a ton of water. To use this, add vermiculite to the soil for conditioning and lightening. You can use this mineral alone or with other organic materials such as compost or peat. ​The importance of this process is that it will enhance the growth of your plants. This is done by targeting the young root systems directly. Moreover, since vermiculite is so effective in taking in nutrients like potassium, your plants will receive added help in that area. ​For seed germination, use vermiculite with soil and seeds. However, if you use vermiculite without any soil, you’ll need to apply weaker fertilizer to the seeds. A good fertilizer solution would be 1 tablespoon of fertilizer for every gallon of water. ​If you’re going to use vermiculite mixed with soil, then this will eliminate soil compaction by giving good aeration and allowing the roots to spread more naturally. ​Vermiculite can be also used for transplanting your plants. The role of vermiculite in transplantation is that it provides more root spread and moisture. This prevents the plants from drying out and dying due to overexposure to heat and sunlight. 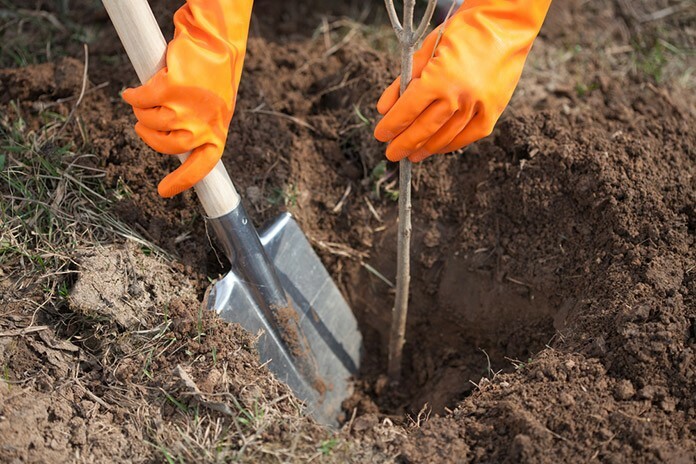 ​To do this, you should start by digging a hole that has six times more area than the roots of the plant. Mix the vermiculite with the topsoil that was recently removed and fill the hole that you just created. ​If you’re familiar with mulch, which is simply an enricher for the soil like compost, then vermiculite can act as the same. It works best for shrubs and you’ll only need three inches worth of vermiculite to substitute it for compost. ​Some other uses of vermiculite are for the soil’s pH level. Although it is common for vermiculite to be at a neutral 7.0 in soil pH test kits, you can also use it as an acidic agent for your soil. Although vermiculite isn’t the most famous for increasing acidity, if it’s all that you have, then you can always give it a shot. 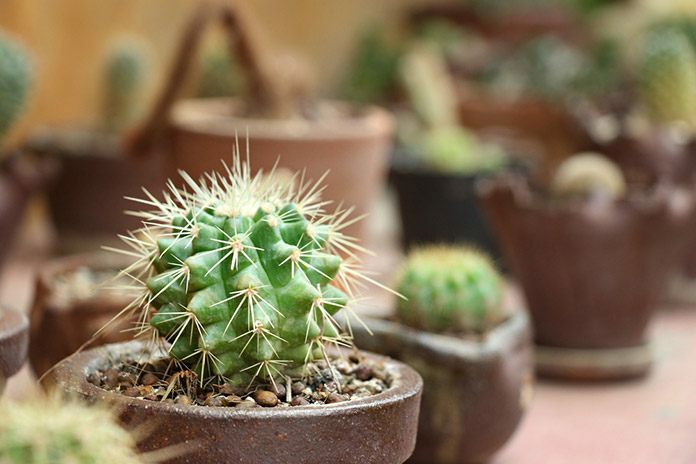 ​Another cool trick that you can do is place the vermiculite granules on the bed of your flower pots. Just add in some water and remove the excess. The idea here is to utilize the vermiculite water retention skill to prevent your flowers from drying out. ​Not only does it keep your flowers fresh, but it also helps eliminate the need to replace your flower’s water. Now let’s move on to perlite. This mineral is more of an amorphous and volcanic rock that’s actually used as a molding glass. This is done by heating the perlite in a large oven that allows it to be malleable. Furthermore, this volcanic mineral is rich in silicon, which makes it better in molding. ​When perlite is used for horticultural purposes, it’s a common process to crush the perlite and expand its particles. This allows the creation of microscopic bubbles in the perlite shards. These bubbles allow water retention and aeration at the same time. 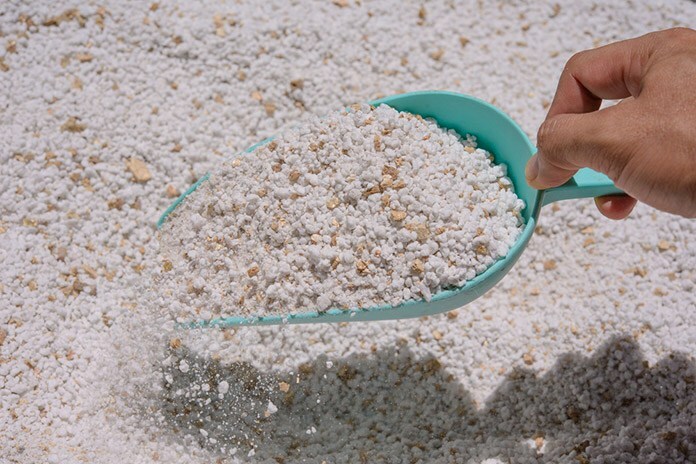 ​If you look at perlite’s physical characteristics, it looks more closely to pumice or white grains of rock. If this mineral is used in horticulture, you can actually mistake it for foam balls, when in fact, these are shards of perlite. What Is Perlite Used For? ​Since we’ve mentioned that vermiculite acts more as a sponge that’s better at retaining water, perlite on the other hand is better at aeration and drainage. The numerous holes or “pores” of the perlite allows this. Because of the holes, there are more paths for the excess water and air to pass through. ​One of the famous uses of perlite in gardening is using it for drainage. The idea here is that perlite will drain the water to help plants that require less water in the soil. Now, take this into perspective with what we explained with the vermiculite. ​If you’re taking care of a water-loving plant and use used perlite instead of vermiculite, there will be certain problems. Although perlite offers water retention and aeration as the vermiculite, your plant will receive less water storage in the soil. ​The porous feature of the perlite causes the water to slip out. That’s why there is a possibility of some sort of water insufficiency with your plants if you used the wrong mineral. Hence, it’s important to avoid substituting the two minerals. After all, it really can ruin the project that you’re working on. 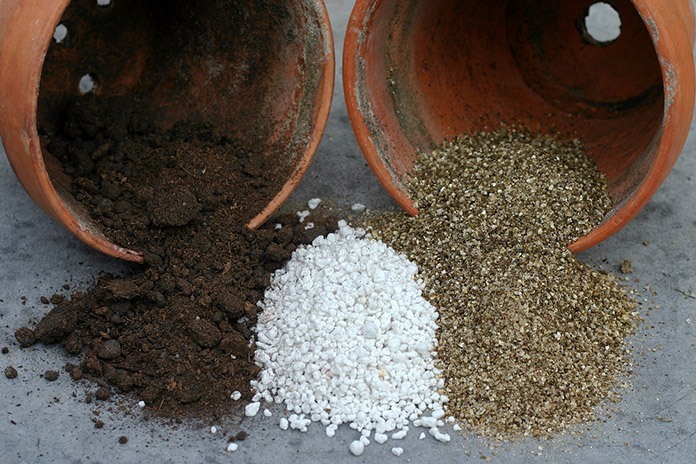 ​To further explain how you can specifically use perlite for root cuttings, you’ll need to know your soil’s characteristics. In particular, perlite should be used with peat moss and loam soil. The ratio of these three should be at ⅓ each. Many experts in gardening consider this as the optimal mixture of good oxygen and water flow. ​If you’re familiar with root cuttings, perlite is also a great mineral to use in this gardening technique. The presence of perlite allows for better root formation. To do this, you’ll need to get yourself a ziploc bag or any airtight container. ​Your perlite will be placed in this ziploc bag, and it should have just the right amount of moisture. When your perlite is moistened, you’ll then need to transfer the cuttings to your bag. The cut ends of your work should be placed into the perlite. Once you’re finished, all you need to do is to simply aerate the bag and seal it. ​Your next step would be to just wait for a couple of weeks. It shouldn’t take long, since by week 3 there should be root formations already. 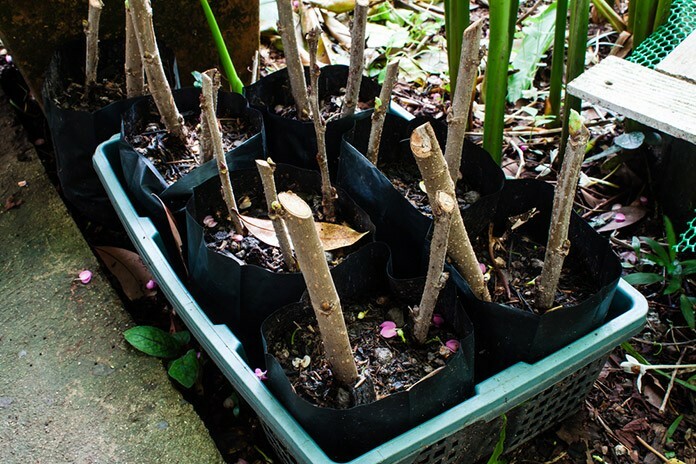 When the roots grow at around an inch thick, you can just simply take it out and plant them in your gardening pots. ​As you’ve noticed, perlite and vermiculite are not really the same when you compare and contrast them. If you’re a serious gardener who’s looking to maximize the benefits of these two minerals, you’ll need to pay attention closely to their distinct characteristics. 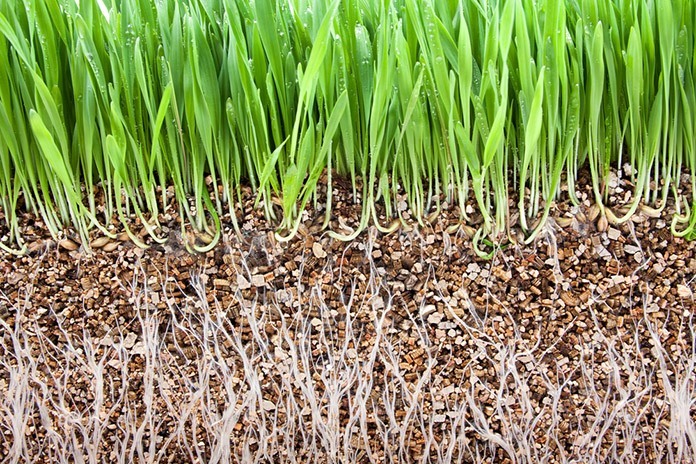 Just remember, that these minerals are both great at water retention and aeration of the soil. However, their similarities stop at that point. If you’re handling water plants that need a spongy agent to sap in all that water, vermiculite is the answer. ​On the other hand, if you have plants like cacti that needs more water drainage than retention, perlite is the way to go. It’s crucial to know your plants and the two minerals because a wrong combination can ruin your objective. ​With all that said, happy gardening! If you found this article informative, let us know below. Don’t forget to share it with your fellow gardeners!